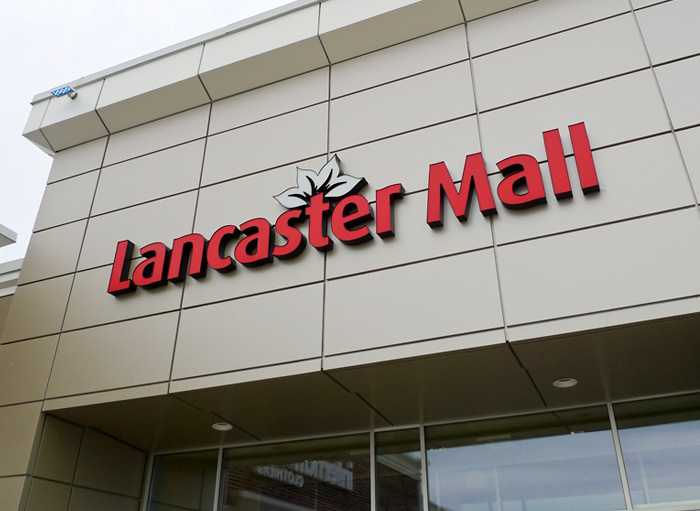 Lancaster Mall in Saint John, New Brunswick under went a $13-million floor-to-ceiling face-lift, and was looking to shed it’s aging logo along with the mall’s tired appearance. Their marketing team was looking for something fresh that would resonate with the younger generation on Saint John’s west side, without alienating it’s established customer base that has been loyally shopping there for over thirty years. They were looking for guidance to steer them through the uncharted waters of establishing this new identity, website, direct mail, ads and promotions leading up to the grand re-opening party. All of these components came together within a three month timeline for their grand re-opening. Shown are the logo in it’s various forms, with and without the tagline/website address, as well as the reverse version that will be used for signage, the stationery package, and then a couple logo applications, including the outdoor 30 foot tall back-lit pylon sign. Lancaster Mall stationery package with both the fronts and backs of the business cards and letterhead. Lancaster Mall stationery package business card, letterhead and envelope. 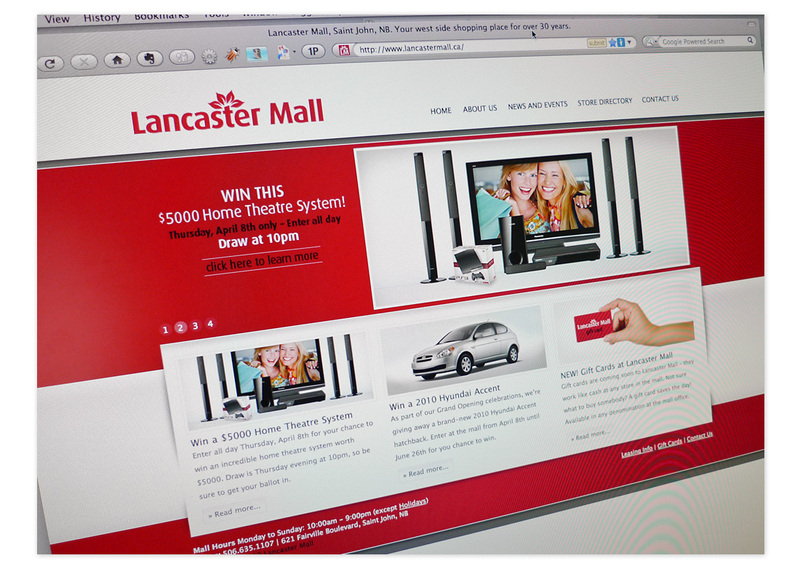 Lancaster Mall website as it looked during the Grand Opening era. Lancaster Mall channel lock signage mounted on the metal clad panel face. 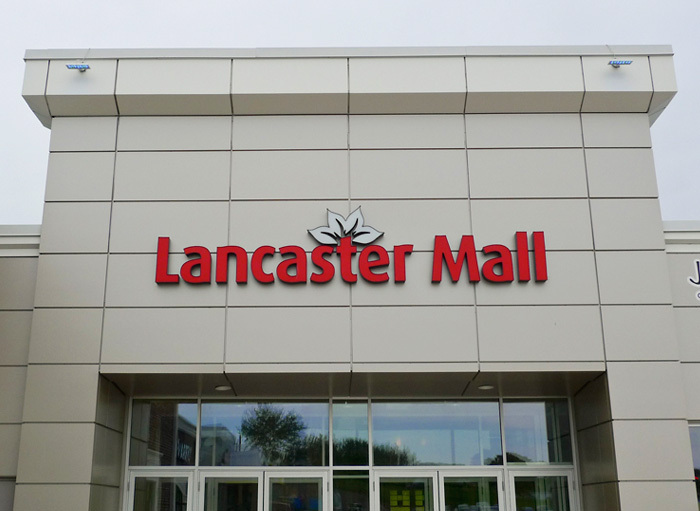 See also Lancaster Mall ads, and the Lancaster Mall website.